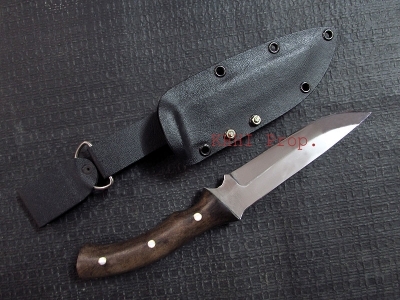 Exclusively made to honor a kukri to honor a cause. Highly influenced from monuments made to pay tribute and esteem to heroism.. 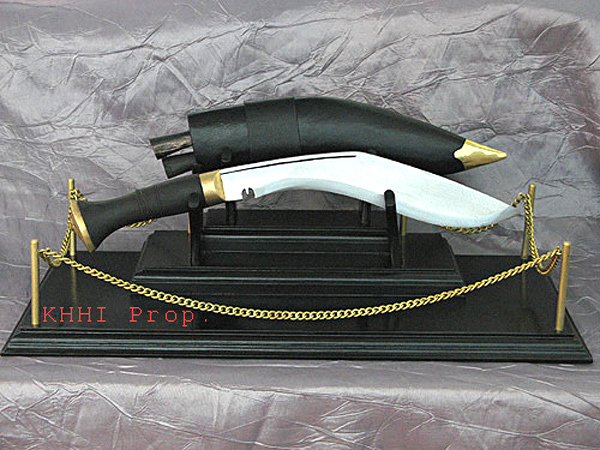 Exclusively made to honor a kukri to honor a cause. Highly influenced from monuments made to pay tribute and esteem to heroism. 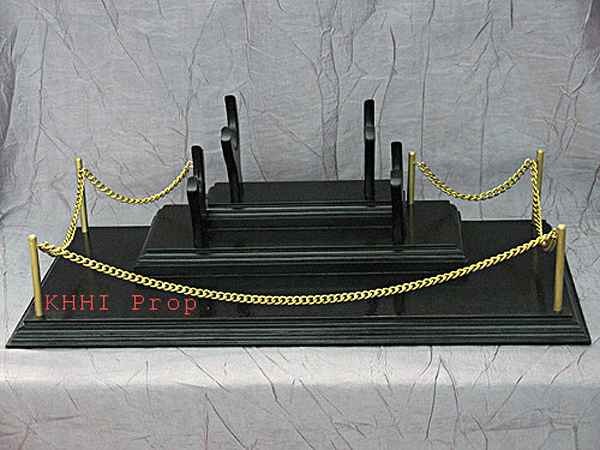 The brass poles connected to each other by a brass chain in the corners of the bottom wooden base gives a feeling and look of one’s deep respect to someone or something, and makes the whole displaying so special, hence named as “Royal Stand”. Special attention and work is put to make the base of the stand to achieve the best outcome with molded edges, poles, chains, color etc. Two wooden bases are used with the smaller on top as depicted in the picture. Edges of the wooden frames are molded artistically to give better look and status. Two pairs of hands, ‘Y’ shaped are fitted to hold the blade and scabbard horizontally and beautifully. A shiny pitch black color is used to give a classic and striking look. The hands and poles can be taken out from their housing for easy packing and transporting.